Cat Training Master Resale Rights Included! What Basic Training Does Your Cat Need? Can you really train a cat? Yes, and here is what EVERY cat owner needs to know. First things first - who IS the Boss? Young or old, indoor cats MUST learn and here's how to teach them. What Cat Behaviors Need to be Broken? Irritating AND costly - don't loose your temper, just break the habit! Houseplants are a double threat - cat kills plant or plant kills cat - how to break this dangerous habit for good! How to break this unhealthy and unwanted behavior before your dinner guests see it! What Cat Behaviors Need to Be Learned? Yes, you CAN teach behavior to your cat and it will make your life so much easier when you do! Get your outdoor cat in every night or just experience the pleasure of getting your cat's attention when YOU ask for a change! If you want to safely let your cat outdoors don't hesitate to try this out. A little self control is good for everyone - here's how to get your cat to wait instead of jumping or bolting. Cats can be especially irksome if they refuse to accept the neccessary grooming only to cover your clothes and home with fur or bother allergy sufferers - here's how to fix that problem in your home. Do you cringe at the thought of clipping your cat's nails? He probably does too, so learn how to make it less stressful for both of you. Learn how to recognize your cat's natural talents and turn them into entertaining tricks! 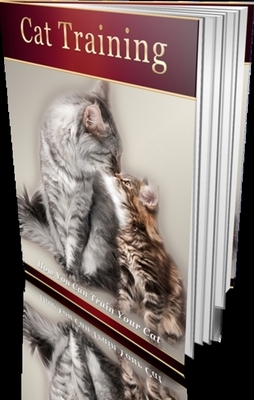 Is Your Cat Ready for the New You?